Hopefully you enjoyed a restful and relaxing weekend with your little ones...or at least a messy fun one full of giggles and smiles. We spent our weekend making a few memories and having some giggles of our own. There is no better reminder of why we work as hard as we do than when we are tucking in our little ones each and every night. Their sweet freshly brushed breath and their squeaky clean smell is intoxicating, and when they utter those 4 little words....I love you mama! It's enough to make anyones heart melt. It is better than any paycheck or promotion. We hope you enjoyed your Mother's Day! Today for Mommy & Me Mondays we have a super simple activity that you can integrate into your breakfast time routine. Here at our house we are working on several skills including counting. Kaitlyn has counting to 25 down and she can even count by 10's but counting by 5's is a little trickier so what better way to learn than with some tasty mini pancakes. To make the pancakes just get a bottle of Bisquick shake and pour pancake mix and add water. pour a tiny amount into a hot skillet. These cook really fast so you can make several at a time. After they are done cooking and are cool have your little one help you to count out groups of 5 and place onto a mini skewer. We added some raspberries on top for some yumminess. Once they are on the skewers have your little one practice counting by 5's. Placing each group onto their plate as they count. If you want to add a little more of a counting review into breakfast serve up some blueberries with your pancakes. 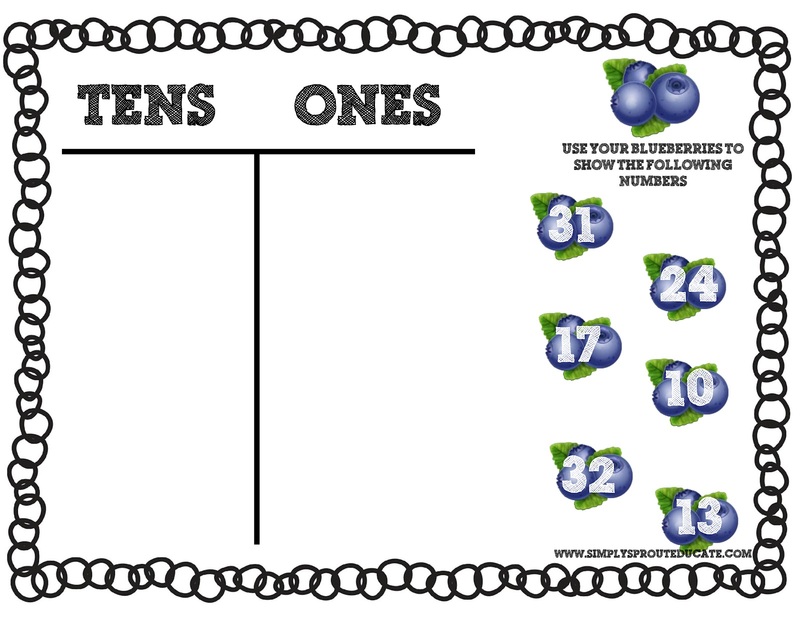 Have your little one practice counting each one making sure to move them or touch them with their finger as they count (this teaches one to one correspondence). 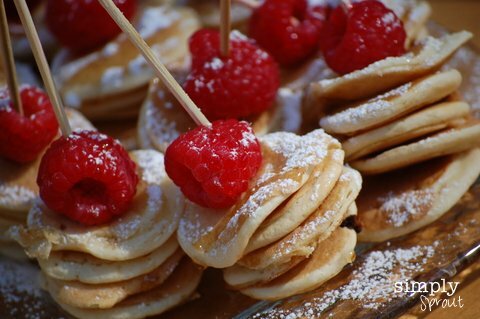 If you want to practice place value you can have your little one trade you 10 mini pancakes for a skewer with ten mini pancakes on it. Or you can use the blueberries the same way. Use the freebie printable below to introduce place value and number sense using blueberries. Whatever your breakfast favorites might be try engaging your little one during breakfast time and get them thinking to start their day.